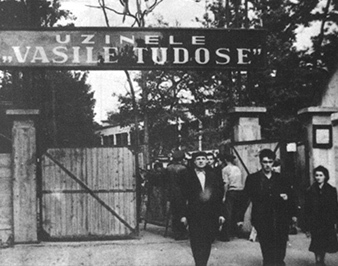 The history of the plant starts in 1943, near Colibaşi, 12 km North of Piteşti. The first buildings are supposed to host, back then, the production of engines and equipment for planes manufactured at the IAR factory in Braşov. Some of the buildings, made out of brick, with a façade specific to the industrial architecture of the 1st half of the 20th C are still to be found on the current premises of the Mioveni plant. 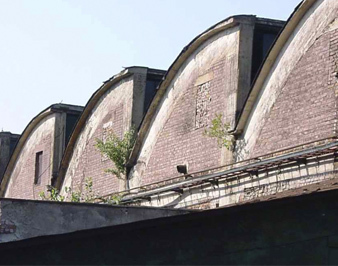 After the war up to 1949, these buildings will be used to store ammunitions, then they will be reconverted as repair shops for locomotives. In 1952, the plant gets specialized in the manufacturing of parts for trucks and tractors. 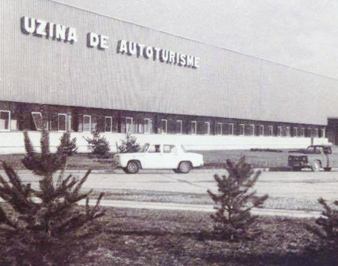 In 1963, the company, known in its beginnings under the name “Uzinele Vasile Tudose” (RO) “Vasile Tudose Plants” (EN) becomes “Uzina de Piese Auto Colibaşi (UPAC) “Auto Parts Colibaşi Plant”. 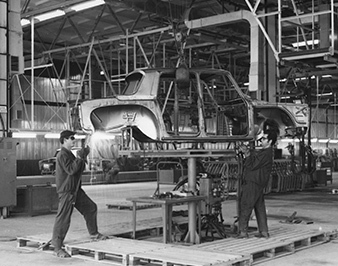 In 1965, the Romanian authorities take the decision to develop a national automotive industry. The preferred solution is to manufacture cars under license, given the lack of Romanian experience in the field. Several western companies are contacted, among which Renault, that wins the bidding organized by the Romanian Government with a model at that time in project phase, Renault 12. 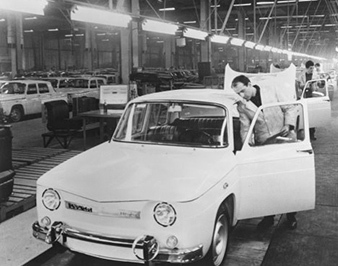 On September 6th 1966, the framework contract between the Romanian state and the National Authority of the Renault Plants (RNUR) is signed. The agreement is valid for 10 years. On September 16th 1966, a decision is taken that the new car plant be built in Colibaşi, in the proximity of the already existing plant – UPAC. The construction works for the Car Plant in Pitești started in the first months of 1967 and they were terminated in May 1968. 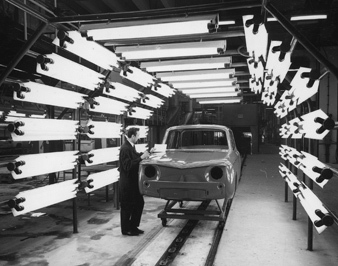 The first pre-production vehicles get of the assembly line on August 3rd 1968. 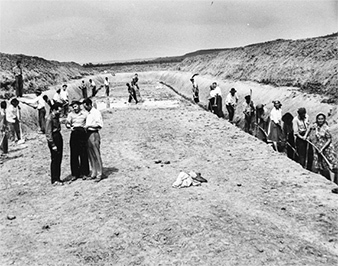 The plant inauguration takes place on August 20th 1968. 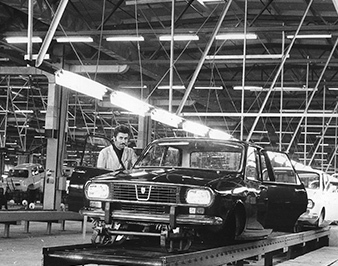 Dacia 1100 will be manufactured up to the beginning of 1972 in slightly more than 37,000 units. Since Renault 12 was to start being manufactured in France at the end of 1969 (the car was to be launched at the Paris Motorshow in October 1969), the contract between the Romanian state and Renault stipulated the temporary assembly of another car from the French constructor’s range. If, at first, the R16 seemed to be preferred by the Romanian side, the final decision will be taken in favor of the R8 (Major version), a car that has a more accessible price for the Romanian customers. 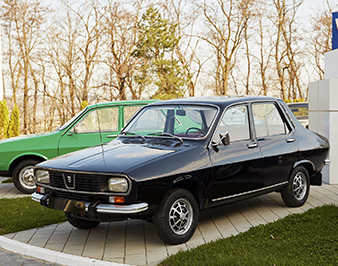 The launch, in October, of the Dacia 1300 model will prove to be a real commercial success, both in Romania, and in other Eastern countries, where the model will be exported starting with 1971. 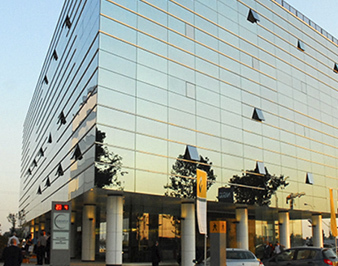 Another important moment in 1969 is the merge of the two companies existing at that time in Colibaşi – UPAC and UAP, under the umbrella and name of UAP. The Dacia 1300 Station Wagon is launched in 1973. It is the first in an ample series of versions of the basic model that will be developed in the next 35 years. 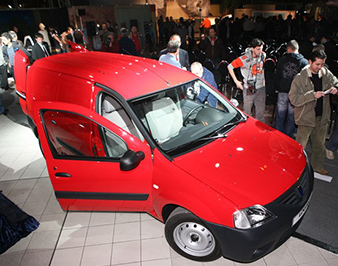 In the same year, Dacia starts the production, at reduced levels, of the Estafette van. 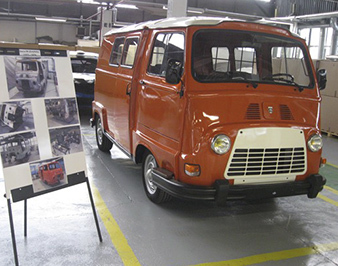 It is worth mentioning that in that period, the plant was manufacturing gearboxes and front and rear axles for Renault Estafette. 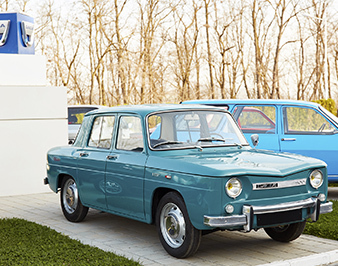 After the contract signed in September 1966 came to its end, the Romanian authorities started again the negotiations with Renault. They concluded in June 1978 through a framework agreement having as object the manufacturing of the Renault 18 in Romania. Unfortunately, this agreement will not be signed, despite very favorable provisions for the Romanian side. 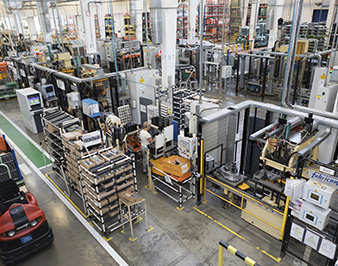 The plant from Piteşti will continue to manufacture in the following years models derived from Renault 12, in the context of a Romanian economy undergoing a deeper and deeper crisis. 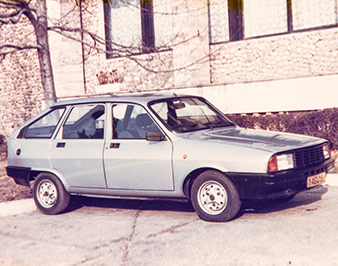 In the beginning of the 80s, the plant that meanwhile had its name changed in “The Piteşti Car Company” (“Întreprinderea de Autoturisme Piteşti (IAP)” (RO)) was manufacturing over 300 cars per day and had over 20,000 employees. 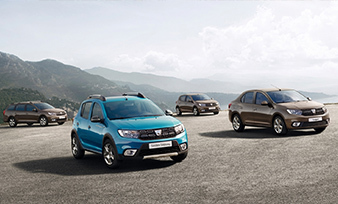 The range evolves with the launch of a redesigned version of Dacia 1300, now called Dacia 1310. This car will know along the years several evolutions both in terms of design, and at mechanical level. Unfortunately, the manufacturing quality will decrease considerably after 1980. 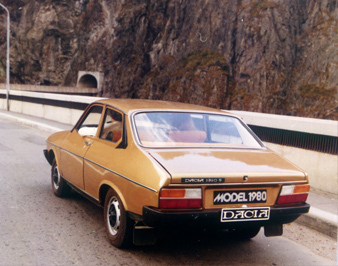 In the 80s, Dacia develops two models derived from the 1310 range. 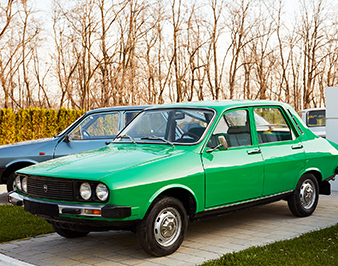 The sport version, launched in 1981 will benefit from a certain success in Romania, despite its selling price that is substantially higher than that of a standard Dacia 1310. In 1987 the 5 door Dacia 1320 is launched, but it will have a very short career, with only 2,500 units sold over a 3-year period. 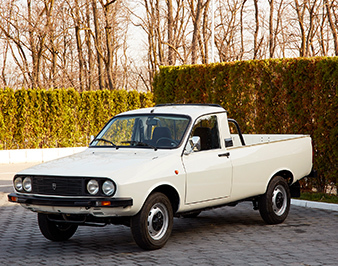 In 1983 the first real Dacia pick-up is launched. This model, with a payload of 1,000 kg, will have several versions, among which a cabin for 5 passengers that will have a great commercial success. 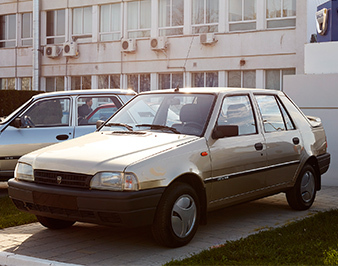 Dacia 1325 Liberta is commercialized starting with 1991. Despite its symbolic name for the new era in which Romania had entered after the 1989 revolution, the model will never have the expected success. Its production will stop in 1996, after the assembly of some 5,200 units. 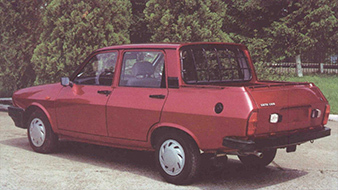 Dacia 1309 shows up in the Dacia range in 1992. Derived from the 1310 station wagon, the vehicle has a platform adjusted for cargo. Dacia 1309 is sold especially abroad, mainly in China. Its manufacturing will allow the plant to overcome the very difficult situation from the beginning of the 90s, a period characterized by the crash of the car market in Romania. 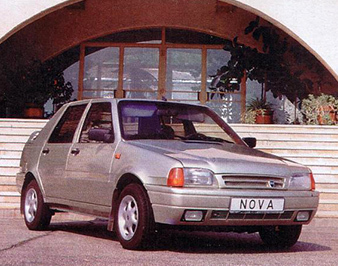 In 1995, a completely new model shows up in the Dacia offer: Nova 523. It’s a hatchback, with a tailgate, designed entirely by Dacia. 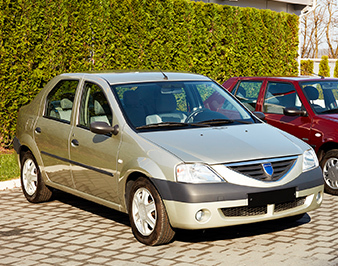 The car is equipped with the same engine that was to be found on the Dacia range for 25 years. The model Nova 524 version will correct the youth problems of the Nova with a straight rear windshield. 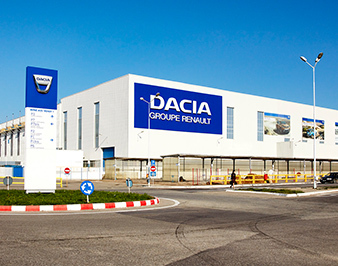 At the end of the 90s, after long and difficult negotiations, an agreement is reached between the Romanian state and Renault with respect to Dacia being taken over by the French group. 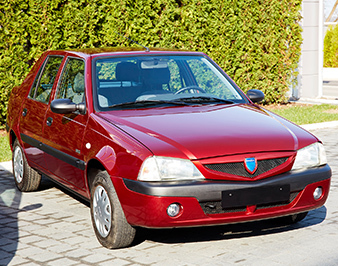 The contract is signed in Bucharest on July 2nd 1999 and it stipulates the manufacturing, under the Dacia brand, at the horizon of 2004, of a single model, priced at 6,000 dollars, to be sold on emerging markets. Groupe Renault pays 50 mn. 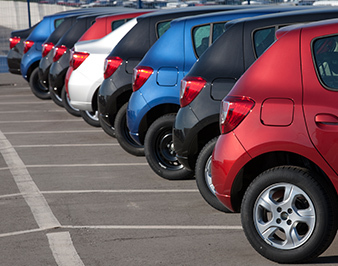 USD for 51% of the Dacia stocks and commits to investments of 219 mn USD up to 2003. The modernization of the plant will have as a result a significant improvement of manufacturing quality. 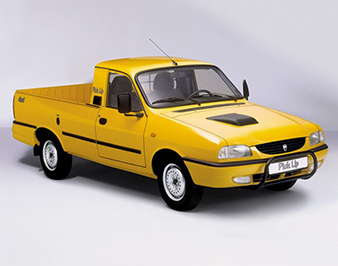 In October 2000, Dacia SupeRNova is launched, equipped with a modern powertrain from the Renault range. 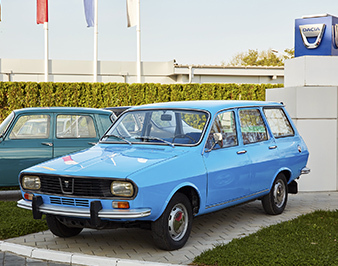 The 1st model manufactured by Dacia after being taken over by the French group establishes itself as a real success on the Romanian market. In total, over 60,000 units will be manufactured until the end of 2003. At the end of 2002, the range of Dacia commercial vehicles will be developed from the R12 license, equipped with a diesel engine of 1.9 liters. 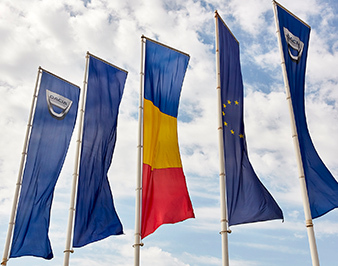 This evolution, expected by the Romanian customers, will give a significant boost to the sales of Dacia commercial vehicles in the following years. In March 2003 the Solenza model is launched. At first, it takes over the SupeRNova’s powertrain. Starting with September 2003, the model will also have a diesel version, equipped with the F8Q engine – that has already been running on the commercial vehicles of the brand. 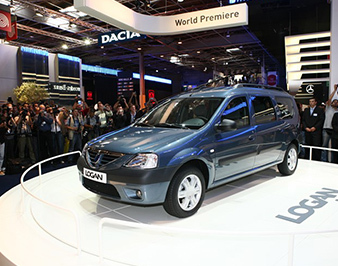 The model that will launch the Dacia brand is shown to the international media on June 2nd 2004. The first deliveries will take place in Romania starting with September 9th. The sales objectives will be overachieved even from the 1st year, following a strong customer demand. 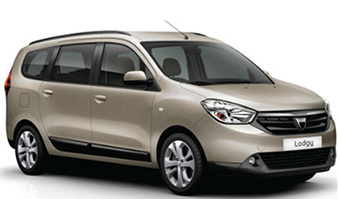 Renault will thus take the decision to sell the Dacia brand in Western Europe as well. 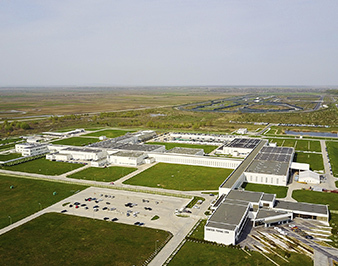 In 2005, in order to support the X90 international development in countries such as Russia, Colombia or Iran, the CKD export center is inaugurated in Mioveni. At that time, it is the biggest logistic center in Groupe Renault. In parallel, in order to meet the commercial demand, the manufacturing capacity of the plant is progressively increased, reaching 350,000 units/year before the end of the decade. The 1st model derived from Logan sedan is shown in March 2006 at the Geneva Motor show. Available in two configurations – with 5 and 7 seats, Logan MCV amazes the international media and establishes itself as a sales success especially in Western Europe. After the vans based on the Renault 12 platform stopped being manufactured, Dacia approaches again the commercial vehicles, this time with a van derived from the Logan MCV model. 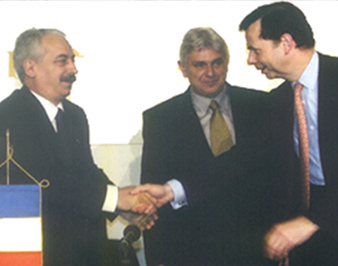 In 2007 Logan GPL is launched and Renault Technologie Roumanie Engineering Center is inaugurated. In order to replace the 1304/1305 range, very appreciated in Romania, Dacia launches a pick-up developed on the Logan platform. The model will be then manufactured also in South Africa, under the Nissan badge. 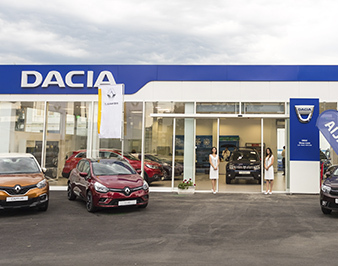 With its launch, Dacia inaugurates its new logo. 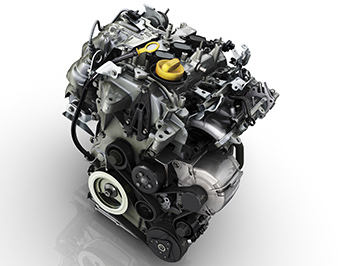 In 2008, Renault Design Central Europe (Bucharest) is set up and TL gearbox production begins. With the launch of the Duster model, Dacia proposes to its customers a car that perfectly meets the new tendencies of the European market. It will not take long for the success to show up. 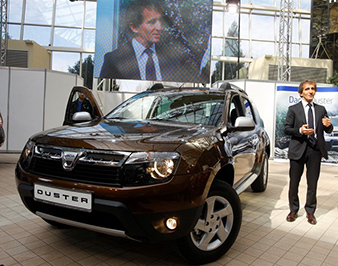 The Dacia SUV will be the 1st model of the brand manufactured in over 1 million units. Titu Technical Center and Oarja Exchange Center open. Renault Commercial Roumanie is born. 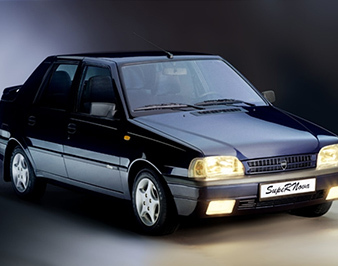 The range comprises a sedan, a hatchback and a derivative version of a station wagon, this time a classical one, as opposed to the 1st generation of MCV. 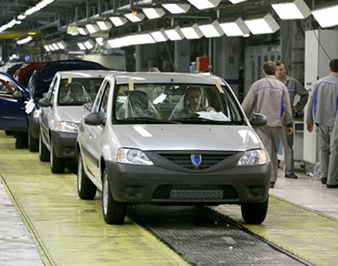 In 2012, Groupe Renault inaugurates the Tangier plant, and it is only there that Dokker, Dokker Van and Lodgy models are manufactured. The production of Energy TCe 90 engine starts. The New Logan MCV is launched in 2013 at the Geneva Motor Show. After the New Dacia Logan, Sandero and Sandero Stepway, Dacia rounds up its offer and presents the New Logan MCV, a roomy station wagon for an accessible price. Duster phase 2. The off-road legend continues. 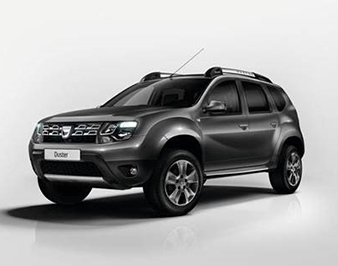 Dacia renews the Duster model, the most recent vehicle of the brand launched at the Frankfurt Motor Show. The whole Dacia range benefits from a new design. 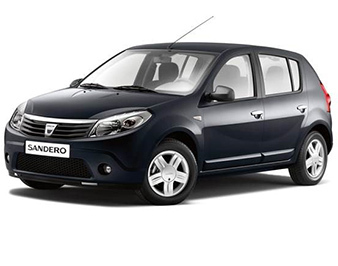 Phase 2 of the models Logan, Logan MCV and Sandero are also equipped, in premiere, with a robotized gearbox. 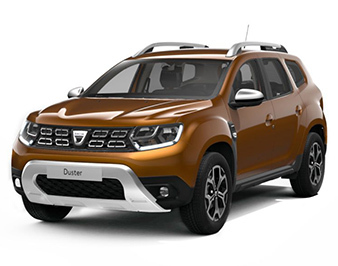 The New Duster generation is launched at the end of 2017. The new SUV incorporates numerous items of equipment, for the 1st time on a Dacia model, and shows a level of perceived quality that has significantly improved. The model will obtain the title “Car of the Year 2018” in Romania.